Faculty and Staff: You are invited to register for the Celebrating Teaching and Learning Conference on May 18th, right here on campus in the University Center. There are a number of interesting teaching and learning initiatives active on campus at any given time and this event will give you a chance to learn more about them. The event is FREE, and includes breakfast, lunch and snacks. Register Now! Are you interested in learning more about ePortfolio use on campus? If so, please join us from 10:00–11:00am on Friday, April 7 in McGraw 19A to hear updates on the exploration and discuss benefits, challenges, and aspirations for ePortfolio use on campus. Faculty, staff, and students are all welcome! A student’s time at UWW is much more than just grades–it’s about experiences. 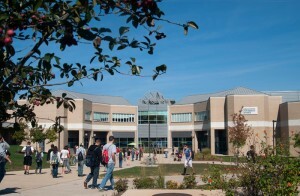 During their time at UWW, students participate in general education, educational experiences specific to their major (culminating signature work), honors, co-curriculars, extracurriculars, aspects related to LEAP, 21st century skills, and engage with the real world (e.g, practicums, internships, etc.) that aim to make them educated citizens and market-ready for their chosen career path. How can we enable them to capture and document their experiences in a variety of meaningful ways (e.g., papers, images, multimedia projects, blogs, etc. ), reflect on them thoughtfully tracking their growth over time, and have them assessed by the institution as a way of showing evidence of meeting core learning objectives? In Summer 2016, AAC&U officially endorsed ePortfolio as the 11th High Impact Practice (HIP). According to George Kuh (2016), “With the assistance of prods and comments from faculty, staff, and peers, the ePortfolio helps make learning visible to students themselves, to their peers and faculty, and to external audiences. As a result, the process induces students to develop deeper, more meaningful understandings of how and why their learning has changed how they think and how they can transfer what they have learned to different settings and circumstances.” Further, ePortfolio has been described as the “meta-HIP” as it allows for the collecting, reflecting, and showcasing the HIPs that impact student learning (e.g., writing-intensive courses, collaborative assignments and projects, global learning, community-based learning, undergraduate research, internships, etc.). Therefore, an integrative ePortfolio approach may help students “to integrate their learning–across general education, majors, and the co-curriculum, as well as prior professional, academic, and life experiences inside and outside of the classroom” (AAC&U, 2017, para. 1). Further, ePortfolio can be a wonderful way for students to showcase their experiences to the institution, future employers, and others who support them. What is the 2017 UW LTDC Virtual Conference? 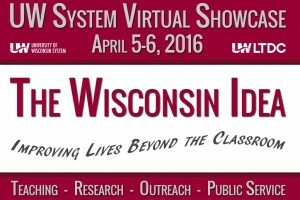 The Virtual Conference is a two day event with educational sessions from instructors and professional staff from across the University of Wisconsin System. 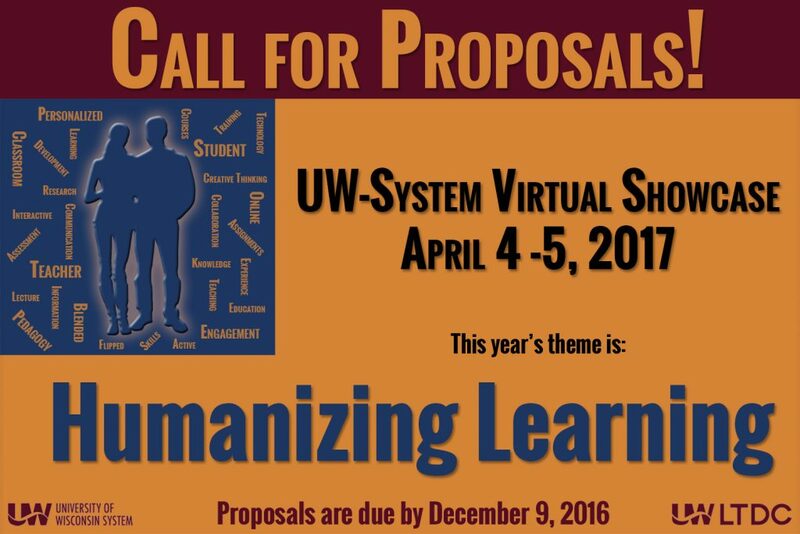 This year’s theme is Humanizing Learning. Session tracks are Technology, Faculty Development, Hot Topics, How-to & Resources, and Student Engagement. Why you should attend the LTDC 2017 Virtual Showcase? This is a two day event with 2 keynote speakers and 27 session options without any travel or lodging expenses and very little time away from your campus. Attend right from your office or home, all you need is a computer and an internet connection. The keynote on Tuesday is Give Every Student 20 More Minutes for Studying Every Day: Personalizing Mobile Learning with Dr. Thomas J. Tobin. The session will introduce you to Universal Design for Learning. You will discover how to implement UDL in the design of your online course environment so that it creates places for best teaching practices to take place in the classroom and beyond. Wednesday’s keynote is [de-]Humanizing Learning with Dr. John Martin, UW-Madison. Put your kumbaya songs aside and engage in a brutally-honest session about humanizing learning. What are humans actually good at? Do we really want them poisoning learners’ minds? This session will challenge some assumptions humans tend to make about how adequate (and inadequate) they really are when it comes to teaching. Let’s look at better options. Following the keynote each day there will be three session choices for each of the time-slots on both days. Presenters of the educational sessions are culled from instructors and professional staff from across the University of Wisconsin system representing 25 of the 26 campuses and the University of Wisconsin Extension. 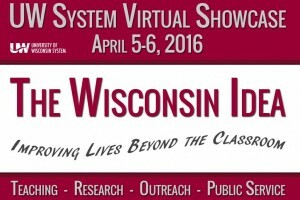 Learn more about the Virtual Conference (https://www.wisconsin.edu/learning-tech/events-conf/ltdc-virtual-showcase-2017-2/) including which sessions are available on Tuesday’s Schedule and Wednesday’s Schedule. 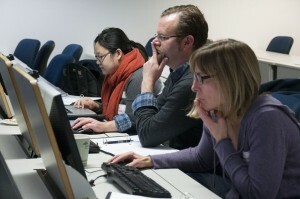 If you have questions about the conference, please contact the UW-W Learning Technology Center. The Learning Technology Center is pleased to announce that registration is open for the 2017 Summer session of the Institute for Online/Blended Teaching. The session will consist of online components, face-to-face meetings on the Whitewater campus, and web conferencing sessions. The focus of the institute is to learn and practice online teaching skills, and will only briefly address D2L mechanics. Applicants must have familiarity with basic D2L features, such as creating content, discussions, and drop-box assignments. 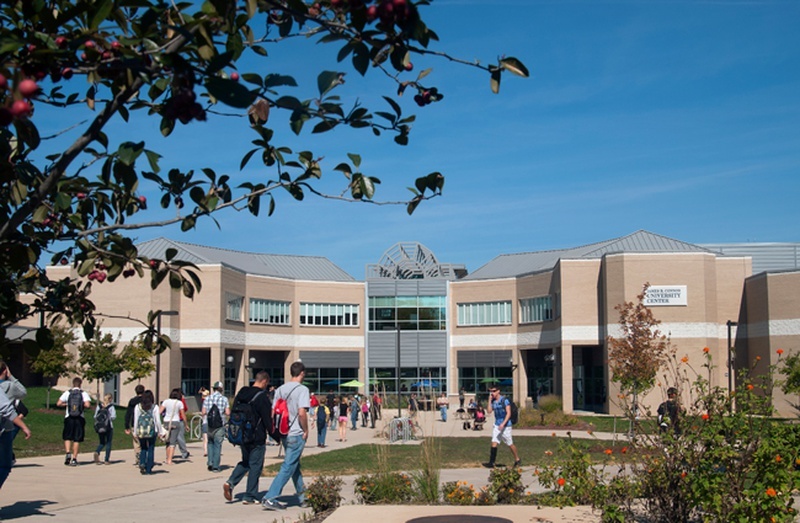 There are 5 mandatory meetings for the Institute; three “in-person” face-to-face sessions on the UW-Whitewater campus, and two web-conferencing meetings. The institute begins with a one-half day orientation session on April 28, a full day meeting on May 26, and a concluding half-day meeting on July 28. In addition, there are two WebEx meetings scheduled for June 2 and June 30. All faculty and academic staff who will be teaching at UW-Whitewater during the 2017-2018 academic year are eligible to apply. However, the workshop will be limited to 15 participants. Applications are due Friday, March 31, 2017. If you have any questions, please contact the Learning Technology Center. As a member of the UW-Whitewater community, you are invited to submit a session proposal for the campus event Celebrating Teaching and Learning: Strategies that Transform Lives. This special forum is meant to showcase the wide variety of ways we are all transforming the lives of our students through teaching and learning. The forum will be held on May 18th, 2017. Supporting Student Success: Topics may include showcasing high impact practices, sharing learner engagement strategies, discussing different ways of supporting students in courses, incorporating active learning strategies, or ways you assess student learning. Managing Instructor Workload: Common topics include include tips and tricks for managing assignments, feedback, or anything else you’ve found useful! Fostering Inclusivity, Diversity, and Cultural Fluency: Example topics include include effective discussions, cultural intelligence, advocacy, relationship building, and inclusive excellence. 21st Century Challenges and Opportunities: Topics may include integrating technology into teaching, sharing ways to increase student responsibility and accountability, integrating deep learning approaches into teaching,managing BYOD (bring your own device) for course activities, and preparing students for 21st century skills (e.g., evaluating information, being a digital collaborator). ePortfolio: ePortfolio has become a fantastic tool for students to display their work to employers, as well as for instructors, programs, and institutions to assess student work toward established outcomes. If you are using the ePortfolio at the course or programmatic level, please share what you’re doing! Birds of a Feather Discussion Sessions will consist of 45 minutes of discussion. The facilitator is expected to introduce the topic to the group and have guiding questions to enhance the conversation. Accepted facilitators will receive $50, one facilitator per session. We encourage sessions that involve collaboration and creativity! 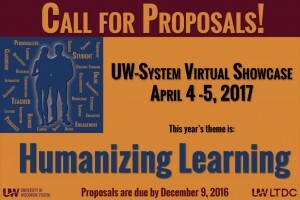 Our theme is Humanizing Learning, but feel free to submit any relevant topic that you feel strongly about. The idea behind the theme is that while we work with more technology than ever, the human touch is still a vital quality in regards to learning. This virtual conference offers an opportunity for sharing your successes and challenges in teaching with technology. This conference will provide you with the opportunity to virtually connect with other practitioners and requires neither travel expense nor a significant time commitment. Innovative Approaches (Hot Topics) – Tell us about how you’re working and teaching. Are mobile applications a part of your learning and knowledge portfolio? How have you taken traditional teaching and enhanced it through an innovative approach? Can you share a successful case study? Engagement of Students – How are your students connecting with each other and you? What works now or what do you expect might be a future method of engaging students? Can you share a successful case study? Faculty Development – How are you supporting your faculty? Are you facilitating learning communities? How are you engaging faculty to try new approaches to teaching and learning? Do you have a successful case study to share? “How To” and Resources – Do you have a skill to share? Have you created a wonderful set of resources for faculty and students? We’re interested in successful case studies; what can you share? Best Practices – Are you using a particular learning technology (or set of technologies) and know through evaluation that it definitively engages students and promotes learning? Emerging Topics – Do you have a proposal that doesn’t quite fit into the other topics? We look forward to learning more about your teaching and learning experiences! If you have any questions contact the Learning Technology Center. All University of Wisconsin-Whitewater faculty and staff are invited to participate in a campus-wide community of practice for online and blended education. The Community of Practice for Online and Blended Education began in the spring of 2015, thanks to a grant from OPID. Its purpose is to serve as a campus-wide forum to develop, share, and document best practices in teaching online and blended (hybrid) courses at the University of Wisconsin-Whitewater. In addition, it provides a support network for those teaching with technology. The purpose of our meetings is to build community and meet others who are excited about teaching in the online and/or blended format. In this session, Stephanie Douglas and Jodi Galvan will share the materials they created for an Online Bootcamp for General Learners, as part of a LEAP project. Galvan and Douglas piloted these resources in courses in Spring 2015 and surveyed their students for feedback. The students responded positively, and stated that they helped them to understand if online learning is a good fit for them, reduced fear and anxiety, and gave them time management skills to help them succeed. Given the success of the project, most of these materials were integrated into the UW-Whitewater Starter Course template. In this session, the recipients of the Community of Practice project grant will share the results of their projects. Two projects were funded: the development of an accessibility template for the ECE4U program, and the creation of assessment videos. If you have questions about this please contact the Learning Technology Center at ltc@uww.edu or 262.472.1004. 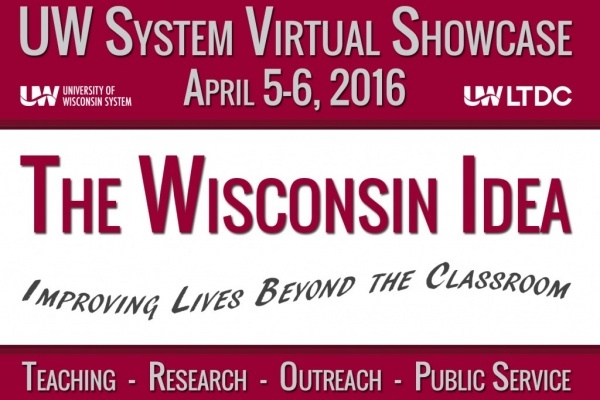 The UW System Learning Technology Development Council (UWS LTDC) is pleased to announce our virtual showcase to be held on April 5-6, 2016 from 8:45 am – 3:45 pm. Visit the conference website and register today! The showcase will begin on Tuesday with a keynote address by Steve Covello, titled Rich Media in Teaching and Learning: What is it, and how can you use it right now? The Wednesday keynote by Richard Byrne, Preparing for Higher Education’s Future Students: Trends in K-12 Education will challenge us to find new ways of leading students in a hyper-connected world. Throughout the 2-day event, faculty and staff from UW System campuses will share their innovative uses, best practices, how-to’s and much more on a variety of learning technologies that span classroom, blended and online topics. If you have any questions about this event, please contact the Learning Technology Center. 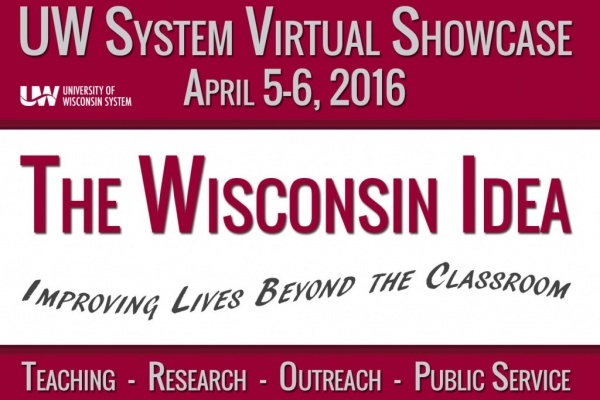 The UW-System Learning Technology Development Council (LTDC) 2016 Virtual showcase will be held April 5-6, 2016. Share your innovations! How are you using technology in education? How are you making a difference? What technologies are you finding successful? How are you engaging your students? How are your students responding to your social media efforts? What makes your class different and successful? How are you collaborating with others? Hot Topics– Tell us about different ways in which you’re working and teaching. Are mobile applications a part of your learning and knowledge portfolio? How have you taken traditional teaching and changed it? Can you share a successful case study? Student Engagement– How are your students connecting with each other and you? What works now or will work in the future? How is that working? Can you share a successful case study? Faculty Development– How are you supporting your faculty? Are you facilitating learning communities? How are you engaging faculty? Do you have a successful case study to share? How to and Resources–Do you have a skill to share? Have you created a wonderful set of resources for faculty and students? Learning Environments-Whether your content is in D2L, Canvas, Moodle or some other system, we want to hear from you. Have you integrated a tool from a vendor? Created a widget? Are you using Intelligent Agents? Share your innovative approaches with your Learning Management System. Presentations during concurrent sessions will be 45 minutes: 30 minutes for presentations and 15 minutes for questions and answers. All sessions will be given via Blackboard Collaborate webconference. Sessions will be recorded and available for archive viewing. The LTDC highly encourages collaboration, use of appropriate and acceptable technologies, multiple institution, and multiple discipline proposals.